The lives of the Leukemia and Rheumatoid patients in the Gaza Strip are in real danger as they have not received the necessary medications for more than 11 months, Palestinian right center reported. Palestinian Center for Human Rights (PCHR) express its concern that these patients will suffer severe complications that may lead to death if they do not receive the necessary medications as soon as possible. The center said on a press release on Monday that the suffering of Leukemia patients, which is a serious cancerous disease that affects blood cells, started in December 2012, as the Glivec 400 mg tab has completely ran out from the Blood Department Pharmacy at Shifa Hospital. As a result, the patients have not been able to take their medicine so far. It should be noted that this medicine can be obtained only through the Ministry of Health in Ramallah and cannot be bought from medical stores or pharmacies in the Gaza Strip because it is not available there. PCHR has followed up the health conditions of Rheumatoid patients in the Gaza Strip who have been suffering due to the lack of their medicine for over 2 years. According to the Ministry of Health and doctors, over 80 patients suffering from Rheumatoid do not receive the necessary medicine – Enebrel 25 mg – because it is not available. PCHR calls upon President Mahmoud Abbas to immediately intervene in order to save these patients by instructing the Ministry of Health in Ramallah to provide their required medications promptly and regularly. 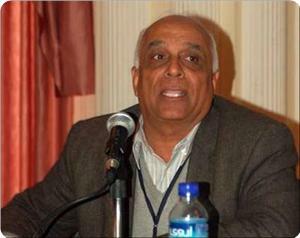 First deputy speaker of the Palestinian legislative council Ahmed Bahar appealed to the inter-parliamentary union, the European Union, the Arab League and the Arab parliaments to urgently and necessarily intervene to save the Gaza Strip from an imminent human catastrophe as a result of the tight Egyptian and Israeli blockade. This came in urgent messages sent by Bahar to heads of the inter-parliamentary union, the European Union, the Arab League and the Arab parliaments. His letters highlighted the environmental and health dangers threatening human life in the besieged Strip. "It is no longer secret how much pain and suffering the Palestinian people in the Gaza Strip endure as a result of the unjust blockade, which is unprecedented in modern history and portends dire environmental, health and humanitarian disasters during the coming days if they were not addressed quickly," the Palestinian lawmaker stated in the letters. He explained that the fuel crisis and the resultant power outages seriously affected all public services in Gaza, especially those provided by the health and environmental sectors. He also said that the closure of the border crossings and the restrictions imposed by Israel and Egypt on the entry of building materials and vital needs worsened the economic and humanitarian situation in Gaza. The lawmaker noted that more than 12,000 Palestinian citizens in Gaza are homeless due to their failure to rebuild their homes that were destroyed during Israel's repeated military assaults. He also pointed out that 57 percent of the Palestinian families in Gaza suffer food insecurity, and the unemployment has reached more than 40 percent and is still on the rise. The lawmaker warned that the lives of thousands of patients in Gaza are threatened because of the acute shortage of medical supplies, stating that 141 medicines and 469 medical consumables and items became unavailable in Gaza. 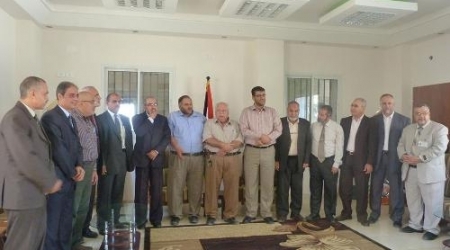 The Hospitals General Administration in Gaza honored doctors Antar al-Habel and Mohammed al-Masri, who specialized in pediatric surgery, for getting a patent from the International Conference for Pediatric Surgery in its 45 session. Director General of Hospitals in Gaza Dr. Yousuf Abu al-Reesh said the Ministry of Health is keen to adopt the young men and develop their skills. Al-Masri and Abu Habel expressed their thanks to the director general, stressing that they will go ahead for the benefit of Palestinian patients who are steadfast despite the unjust siege imposed by the Israeli occupation. The invention embodied by conducting a surgery of duo inguinal hernia through a small hole above the pubis. This surgical procedure was adopted by the medical conference of the Pediatric Surgical Association No.45 which was held on 25 Sep 2013. The doctors were prevented from attending the conference due to the blockade . The Palestinian Minister of Health in Gaza, Dr Mufid Al-Mukhalalati, has warned that frequent power outages could result in a humanitarian catastrophe claiming the lives of Palestinian patients in Gaza. Mukhalalati announced during a press conference from the Shifa hospital that at least 500 dialysis patients are currently endangered because of the electricity shortages. Mukhalalati explained that: "the electricity operates for eight hours per day and the generators that compensate for the electrical outages throughout the remainder of the day have become too costly to run, requiring 500 thousand litres per month of diesel fuel to operate. They are also unsafe to use around patients." He added that "most medical devices will soon stop working" when the generators stop. Mukhalalati asked why the world remains silent about the situation in Gaza, especially the European Union, the United Nations, international human rights organisations and the Palestinian Authority in Ramallah. He called upon all people of the world with good conscience to bear their responsibilities towards Gaza and promptly move to prevent a humanitarian catastrophe from happening. The patients themselves are holding Egypt responsible for stopping the necessary fuel supply from entering into the Gaza Strip, undermining their health and even threatening their lives. They are imploring the Egyptian authorities to exclude the health sector and ordinary people from its political considerations. In a press release issued on 1 November, the UN Office for the Coordination of Humanitarian Affairs called for urgent action to address the power crisis currently affecting 1.7 million Palestinians in Gaza. An earlier report issued by the office revealed that since February 2012, the Gaza Power Plant had been operating at one-third of its operational capacity as a result of severe fuel shortages. However it has now completely shut down, triggering scheduled blackouts for six to 18 hours each day, in addition to random unscheduled cuts. The siege on Gaza is illegal. 1.7 Million people are kept hostage in world's largest concentration camp and on daily basis attacked, deprived, assassinated, executed without trial nor charge, and half of them children suffering severe trauma in this appalling collective punishment of the entire population of Gaza, sealed of by land, air and sea. Patients are hindered to go abroad for treatment as supplies and medical aids ran out, stocks deplete and power is affecting 88 dialysis machine (476 patients),103 infants in incubators, 45 operating rooms, 5 blood banks. This is a severe and even flagrant violation of Art 55 & 56 of the Fourth Geneva Convention. 90% of Gaza water is unfit for human consumption. The day, there is not a bomb or missile falling on the people of Gaza, they are doomed to die without treatment, dialysis patients doomed to poison themselves and all others in risk by environmental and deprivation hazards to suffer the same fate. As per Nov 7, 2013 Gaza was assaulted 263 times within an alleged ceasefire agreement, in which 11 people have been killed. The current closure by Egypt caused 3 people to die waiting at the border, of which 2 children, one of them only 1 day old. 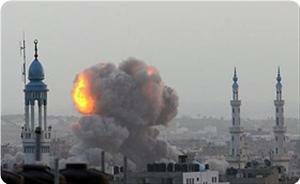 Follow our gaza topics and help to share the news to break the silence of mainstream media. Silence, is not option anymore. 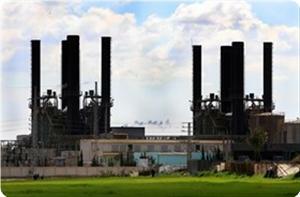 Gaza Minister of Health Mofid Mukhalalati warned that the halt of the Gaza Power Plant (GPP), the only power plant in the Strip, signals serious problems in health services. In a press conference held on Saturday, Mukhalalati warned of unprecedented problems in health services that would have significant health implications on patients in hospitals and medical centers in the besieged Strip especially that the power plant has stopped functioning two weeks ago due to fuel shortage. According to crisis management plan, the Health Ministry used at least 500,000 liters of fuel per month to run electric generators in light the acute fuel shortage, he added. Mukhalalati said power cuts will directly impact the health of many patients in hospitals and medical centers, especially those in the emergency departments, intensive care units, operation theatres, and 476 patients who need kidney dialysis as well as infants in 45 incubators. He added that power cuts will also affect the 5 blood banks, radiology departments, laboratories and refrigerators needed to store vaccines and medication. He called on the international community and human rights organizations concerned with health sector to take immediate action in order to support patients’ rights to treatment and to pressure the Israeli occupation authorities to lift the siege. The Israeli occupation authorities (IOA) refused to allow treatment of Dr. Abdulsattar Qassem, a lecturer of political science at Najah university, in Jerusalem. He said in a terse statement on Monday that the IOA refused to give him permission to enter Jerusalem for medical treatment. He added that his request for treatment at Makased hospital was turned down for “security reasons”. Qassem said that he asked for a similar permission a few weeks ago but was also rejected, adding that doctors had recommended his treatment in Jerusalem due to presence of better treatment for him there. Health minister in the Gaza government Mufid Al-Makhalalaty warned of the serious implications on the health and environmental services after stopping the operation of Gaza's only power plant. The minister warned of a looming humanitarian disaster due to the continued oppressive and illegal Israeli siege imposed on 1.8 million people in the strip. The besieged Strip suffers an acute power crisis after the only power station has run out of fuel on Friday, leaving Gaza facing up to 12 hours of power cuts per day. Shutting down of Gaza's sole power plant would cause serious health and environmental problems after the sewage treatment plants stopped working due to lack of fuel, he said. 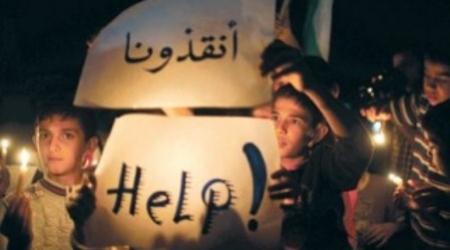 The crisis led to power cuts of up to 18 hours a day, causing a real catastrophe in the besieged Strip's 14 hospitals and 54 medical centers, particularly emergency departments, intensive care units and operating rooms, nurseries, medical laboratory, radiology and blood banks and all health services in the Gaza Strip, he added. Health minister confirmed that pumping sewage into the Mediterranean would lead to a real environmental disaster as people swim in the sea and it also affects drinking water as the pollutants could harm the ground water. The minister called on PA and human rights organizations including the International Committee of the Red Cross and the United Nations and the World Health Organization to intervene immediately to pressure Israeli authorities to allow the entry of the needed fuel quantity to operate the power plant. The World Health Organization (WHO) warned of serious humanitarian crisis due to the drugs and medicine supplies' shortage in Gaza Strip, calling on PA to provide the besieged strip with the necessary medicines. In a workshop organized by the Palestinian Center for Human Rights, WHO's representative in Gaza Abdel Nasser Sobah stressed the WHO's role to provide rheumatoid arthritis and blood cancer patients with the needed treatment, pointing out that any delay in drug supplies may lead to death. The PA Ministry of Health is the responsible for providing the Gaza Strip with all medicines and medical equipment, however its financial crisis prevented it from meeting the strip's medical needs, he added. 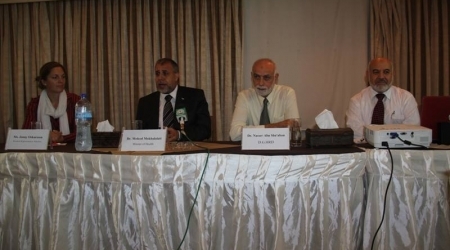 Riad Zanoun, former Health Minister of Health and Chairman of the Palestinian Centre for Human Rights, stated that the workshop was organized to discuss the health situation of rheumatoid arthritis and leukemia patients in the Gaza Strip. He pointed out that the imposed Israeli siege since 2006 and the Palestinian political division resulted in drug shortage. For his part, Ashraf Abu Mahadi, General Director of Pharmacy in the Ministry of Health, stated that the acute shortage of medical supplies in Gaza is due to the increased demand and high prices in addition to the continued Israeli aggression and siege in the Gaza Strip. 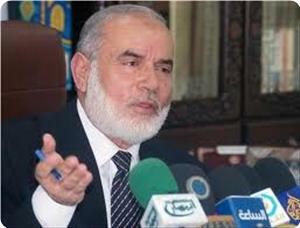 The Health Ministry in Gaza will provide 480 essential medications and 902 medical supplies in 2014, he said. In turn, Khalil Shaheen, Director the Economic and Social Rights in the center, pointed to the increased suffering of rheumatoid arthritis and Leukemia patients in the Gaza Strip due to drugs shortage. The participants in the workshop called for uniting all efforts in the health sector in order to provide rheumatoid arthritis and blood cancer patients with their necessary treatment. 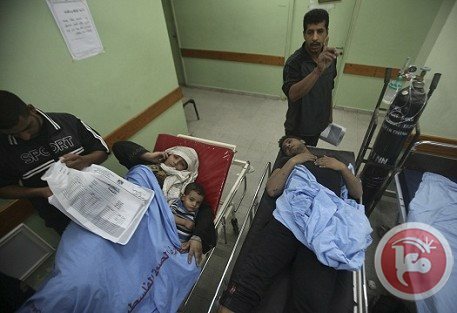 The Ministry of Health in Gaza warned that the Israeli escalation against the Gaza Strip constitutes a real threat to the health and humanitarian services provided for the Palestinian people. This came after Israeli forces targeted on Monday morning an area near a primary school and terrorized the pupils. The Ministry spokesman Dr. Ashraf al-Qidra stressed in a statement that the continuation of such repeated Israeli follies which target the residential areas increases the number of wounded. Al-Qidra expressed his deep concern about this dangerous escalation which coincides with the tightening of the blockade and the closure of the crossings. He pointed out that the health sector in the Gaza Strip is experiencing shortages of 30% of medicines and about 50% of medical disposables. He said this will have serious repercussions on the health services in light of the repeated closures of the Rafah crossing for the fifth month which deprived the patients in the Gaza Strip from medicines, and medical aids. The Ministry spokesman stressed that the Ministry of Health is working according to the announced plan in managing the crisis and is struggling to keep the health sector able to meet the needs of the hospitals and health care centers. 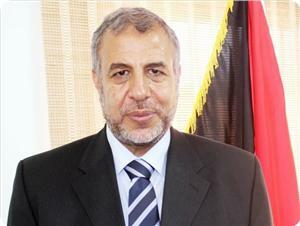 He also urged the international humanitarian institutions to shoulder their responsibilities in providing the health sector with the necessary medicines, medical disposables and fuel to ensure the continuation of health service delivery for nearly 1.8 million people who are living in the Gaza Strip and who are subjected to a systematic policy of racial discrimination by occupation leaders. Al-Qidra called on the international community and the free world to exert pressure on the Israeli occupation to stop its repeated attacks on the Gaza Strip, open the crossings and lift the illegal and inhumane siege that has continued for the seventh year unabated. He also called on the Arab Republic of Egypt to immediately open Rafah crossing in both directions and stop the demolition of tunnels. 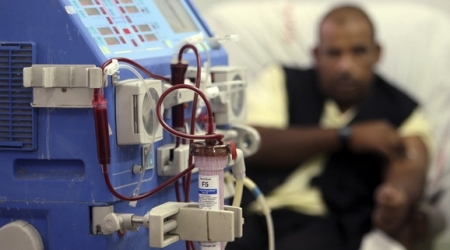 The Palestinian health ministry in Gaza Strip warned on Saturday that hundreds of kidney failure patients were in danger of death due to the acute shortage in medicines and other consumables used in the dialysis process. For his part, director of kidney department in the Shifa hospital Dr. Abdullah Al-Qaishawi told a ceremony for kidney patients called “Smile of Hope” on Friday night that the Strip was in acute shortage of medicines and consumables needed for completing the dialysis process. 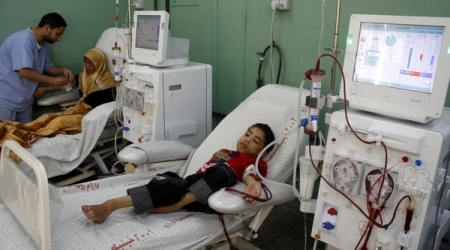 More than 450 patients in Gaza suffer from kidney failure and need three dialysis sessions weekly. 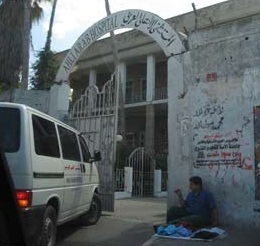 Repeated closure of Gaza crossings had led to the acute shortage in the dialysis process needs. 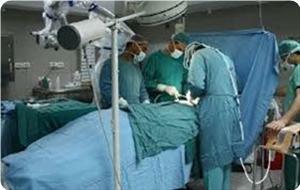 Qaishawi underlined that any shortage in any component of the dialysis leads to a stoppage in the whole process. In the absence of alternatives, the process of kidney dialysis would be facing a crisis, he added. He also pointed out that the interruption in power supply affects dialysis, adding that repeated power failure negatively affects the machines and could lead to their complete stoppage. After 16-year-old Manar al-Ayasseh, from al-Azzeh refugee camp in Bethlehem, appealed through Palestine News Network (PNN) to the Palestinian President Mahmoud Abbas to receive life-saving treatments, the official responsible for humanitarian aid in the presidency, Raeda al-Faris, met with child’s father and promised that she would follow up with the child’s case as soon as possible. Manar suffers from several diseases, the most fatal of which is liver disease. She is currently fighting for survival, since 70% of her liver functions have stopped, and, according to medical reports, Manar is in desperate need of a liver transplant. Al-Faris informed the child’s father, Munther al-Ayasseh, that she will make sure that the child receives all needed treatment, and that she will escalate the procedures needed to run all the medical tests on her and on all her relatives in order to find a match in the tissues for the liver transplant. She added that the President has not and will not hesitate to provide assistance to any medical case, especially when the situation is life threatening, and that he will provide the child with the necessary treatment as soon as possible. Governor of Bethlehem, Abdul Fattah Hamayel, has also promised to help the child and he sent all her papers to the president as soon as he received them for the child’s father. Munther al-Ayasseh, father of the child, stated that he has been working on his daughter’s treatment process for months and that he spent all of his money trying to save her life, even selling his house. 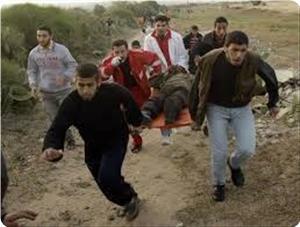 He said that all he has left is God and President Abu Mazen to help him save his child. Ayasseh indicated in a PNN interview that his daughter is in need of medication to keep the 30% of her liver functioning, this medicine is only available in Jerusalem and the price of one pack is thirteen thousand shekels. Sixteen year old Manar does not only suffer from almost entire liver failure, but was also born with Thalassemia, an inherited blood diseases that includes abnormalities in hemoglobin, the oxygen-carrying part of the red blood cells. This has lead to the malfunctioning of many of her organs, including heart, pancreas and has caused her to have diabetes. Médecins Sans Frontières has extended its reconstructive plastic surgery program to al-Shifa hospital in the Gaza Strip, the second project of its kind in the coastal territory. 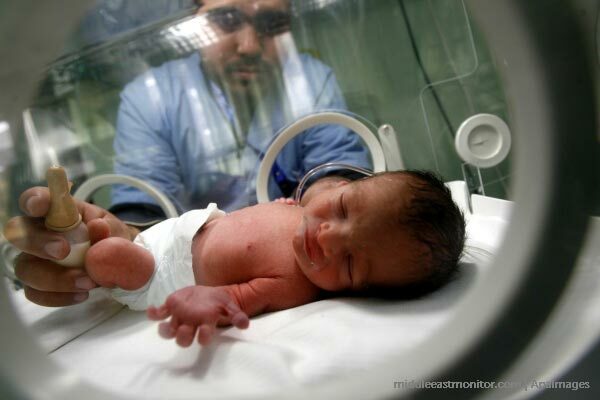 In July 2010, the international aid and humanitarian organization opened a plastic surgery unit at the Nasser hospital in collaboration with local Gaza health authorities. "We hope that our work at Al-Shifa Hospital will increase the number of patients receiving treatment and reduce the Ministry of Health's waiting list", said Tommaso Fabbri, MSF Head of Mission in Jerusalem. The program provides treatment to victims of trauma, domestic accidents, burns and other injuries and aims to help patients regain optimum use of their limbs, a statement said. Al-Shifa and Nasser hospitals are the only facilities providing this kind of treatment in the Gaza Strip, together with a few private clinics and surgeons. MSF staff travel to the Gaza Strip several times a year to work with the teams at both hospitals, which specialize in plastic surgery and specialist hand surgery. Israel's blockade on Gaza has resulted in over 450 patients having to wait from 12 to 18 months for their operations, MSF said. Between January and September 2013, MSF teams performed some 126 procedures, 63 percent of which were on children. Following operations, patients are referred to specialist MSF staff, and in 2012 patients benefited from over 7,000 dressing and physiotherapy sessions. Palestinian minister of health Mufid Al-Mekhalalati said that the balance of medicines and medical disposables in hospitals and pharmacies are in constant decline due to the closure of the Rafah border crossing. 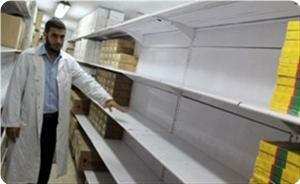 In a news conference on Sunday, Mekhalalati noted that 30 percent of the medicines are completely unavailable. The minister highlighted that the blockade on Gaza is against the international law, which considers Gaza an occupied territory and demands Israel to provide its population with all life means. The minister also said that the construction of seven primary medical care centers stopped completely, while the expansion works at five hospitals were suspended. A Palestinian family donated four kidney dialysis machines for Al-Shifa Hospital, Gaza's largest public medical complex, located in the district of North Rimal, to make up the shortfall in medical equipments. Director General of International Cooperation at the Ministry of Health Mohammed al-Kashif said Sunday in a press statement that "'Harazallah family' from Gaza City donated four kidney dialysis machines for the medical complex,"
Dr. Kashif praised the role played by the Palestinian families and local civil society institutions in supporting the health sector under the suffocating Gaza siege. He pointed out that the in-kind support offered ​​by the Palestinian family helped ease the crisis experienced by the health sector in Gaza especially in light of the inability to receive the medical equipments and medicines to the Gaza Strip via the crossings. Following the shutdown of border tunnels and crossings, the medical sector has been hit hard with a shortage in medical equipments and supplies, as well as in fuel. 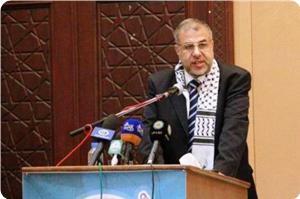 Oscarson emphasized sustaining of support offered to the Palestinians in all sectors ‎especially the health. Since Israel destroyed one of Gaza's only two power plants in 2007, and the Israeli government has since that time prevented the import of materials to construct a new one, rationing of electricity has become a daily routine of life for the residents of the Gaza Strip – indeed, for six year old children, it is the only life they have ever known. 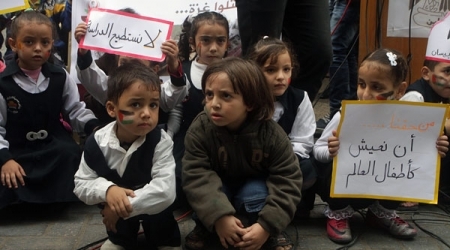 Close to one half of the Gaza Strip's 1.5 million residents are children under the age of eighteen. 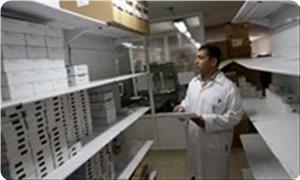 "Of the medicines on the essential drugs list," said Dr Mokhalalati, "145 items have completely run out." The Rafah closure, he added, also means that there are around 1,000 patients who are unable to be sent for specialist treatment in Egypt, in addition to 300 more who have been referred there by the health ministry. Appealing to the people of Egypt to ease the suffering of their brothers and sisters in Gaza, Dr Mokhalalati warned that the shortage of diesel fuel is having a major effect on the ability of hospitals and medical centres to function properly. "Health centres alone each need 360 litres a month for emergency generators as the electricity supply is only connected for 12 hours a day," he said. The Gaza Strip's crisis has run very deep as the Rafah crossing is still closed for the ninth day in a row in addition to the closure of Karem Abu Salem crossing for the second day continuously due to Jewish holidays. The crisis has caused a decline in pharmaceutical stocks which arrive to the Gaza Strip via the Rafah crossing by 30%, and led to the lack of 150 types of medicines and 460 varieties of medical disposables in addition to more than a 100 varieties threatened with running out. One thousand patients have been deprived from reaching Egyptian hospitals and delayed the arrival of dozens of specialized medical delegations from various countries around the world to the Strip, according to Gaza health ministry. The crisis also has a severe impact on water and sanitation services in Gaza, due to the lack of fuel and electricity necessary to operate them. The Ministry of Local Government has warned of the serious water and sanitation crisis in the strip that reached an alarming level and the breakdown of which is placing public health and the wider environment at risk in Gaza. The impact of the crisis has extended to the fishing sector, which is threatened by stopping the work of 4000 fishing boats in Gaza in case they couldn't get the required amounts of fuel. 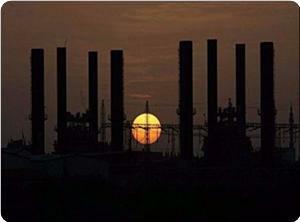 The Energy and Natural Resources Authority suffers from an acute shortage of fuel needed to operate the only power plant in the Gaza Strip. Under these extreme conditions, caused by the closure of border crossings and scarcity of fuel supplies, the power station will be forced to shut down completely within the next few days, which will cause a major humanitarian disaster in the Gaza Strip. The loss of electricity generation will have a devastating effect on humanitarian services such as health, water and sewage services. Under the current circumstances, the arrival of the Qatari fuel to run the power plant is critical, and the top priority of the Palestinian people who suffer from the blockade and restrictions in various walks of life. The Authority is receptive to any administrative or technical arrangements necessary to ensure receipt at the country level of the requisite quantity of fuel. In this regard, the Euro-Mid, the Geneva based organization, warned of the deteriorating humanitarian conditions in Gaza which is expected to exacerbate in the light of the ongoing political crisis in Egypt, unless the international community intervene sooner to provide Gaza with the needed relief, and avoid further repercussions on 1.7 million people. Former Egyptian Electricity Minister Osama Kamal has appeared happy on a local Egyptian television network, rejoicing: "We succeeded in closing the only electricity plant in Gaza." Speaking to a talk show on Egyptian Al-Hayat TV, Kamal attributed the news to "the great [and] successful efforts of the Egyptian army in Sinai." 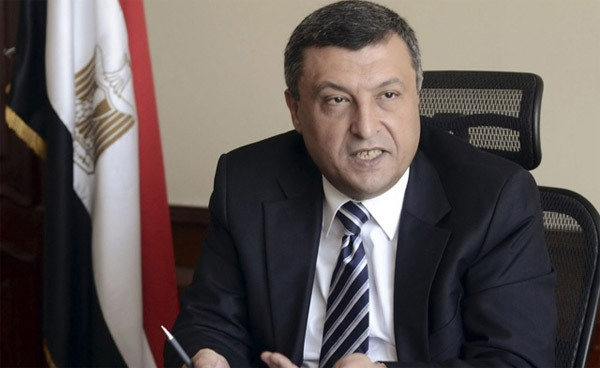 He said that the Egyptian army could only stop the smuggling of Egyptian diesel and gasoline to the Gaza Strip after "strictly closing the tunnels." The former minister said that the electricity plant in Gaza consumes about two million litres of diesel and gasoline each month, but clarified that most of that quantity used to be smuggled in from Egypt. "We could stop it three days ago," he said. He accused Hamas officials in Gaza of cooperating with Muslim Brotherhood officials in Egypt to operate the smuggling tunnels. He accused Muslim Brotherhood officials in Egypt of holding "sensitive" positions in the government that helped them facilitate smuggling to Gaza. Hamas banned the smugglers who run the tunnels before the siege was tightened. Later on they were allowed to smuggle food, fuel, medicines and other vital commodities. The Palestinian government in Gaza, run by Hamas since 2007, has been calling upon regional and international bodies to put pressure on Israel to lift the siege so that it can put sanctions on smuggling activities. Palestinian Health Minister Dr. Mufid al-Makhallalati called on the international community and its governments to exert pressure on Israel to lift the illegal siege on Gaza, and urged the Egyptian government to open the Rafah crossing. This came during a press conference held by the minister on Wednesday in Gaza, in which he talked about the exacerbation of the negative effects of the Israeli blockade on Gaza which has continued for the seventh year unabated, and its impacts on the health sector, including the lack of medicines and medical equipment. Makhallalati stressed that the tightening of the siege and the closure of the Rafah crossing during the past ten weeks had led to a shortage of medicines and medical disposables, which has directly affected the health and services’ sectors. He said his ministry is following a plan for rationalizing the consumption, and the optimal utilization of the limited available resources of medicines, medical supplies and fuel. The minister stressed that the crisis experienced by Gaza, which has escalated during the last ten weeks, has caused a decline in pharmaceutical stocks which arrive to the Gaza Strip via the Rafah crossing by 30%, and led to the lack of 145 types of medicines out of 500 main types. He added that due to the crisis, construction works in seven primary care centers, in addition to five main hospitals have stopped. 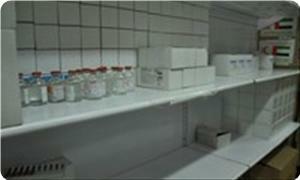 Makhallalati pointed to the lack of 460 varieties of medical disposables out of 904 varieties. He added that the closure of the Rafah crossing deprived one thousand patients from reaching Egyptian hospitals and delayed the arrival of dozens of specialized medical delegations from various countries around the world to the Strip. There is also a decrease in imports of fuels necessary for the work of the electric generators, ambulances, and health transportation, in addition to the increasing durations of power outages to 12 hours a day, the Palestinian Minister explained. He noted that his ministry has put the health services on top of its priorities and is communicating with the Egyptian authorities to overcome the obstacles and to meet humanitarian and health needs. He also called on the Arabs, Muslims and the free world to support the steadfastness of the residents of the Strip, and asked the human rights and humanitarian organizations, including the International Committee of the Red Cross, the United Nations and the World Health Organization to support the patients' rights and allow them freedom of movement.